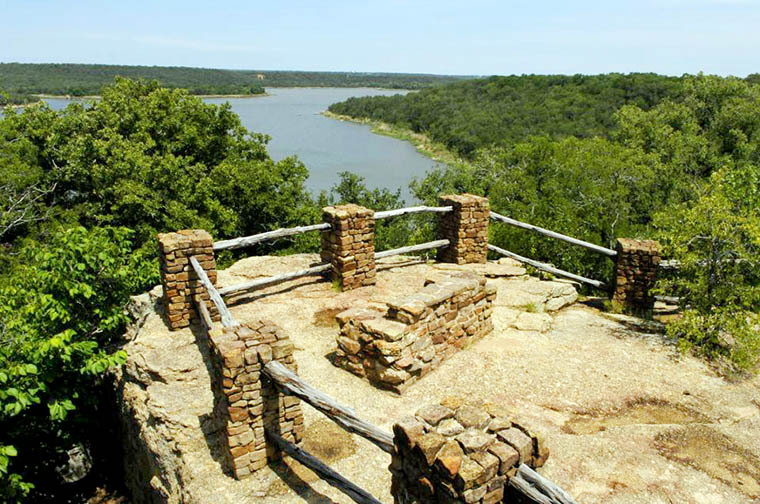 Lake Mineral Wells State Park & Trailway offers camping and picnicking, the lake boasts swimming, boating, and fishing. The 20-mile Lake Mineral Wells State Trailway snakes through the park for additional hiking, bicycling, and equestrian activities on its way from historic downtown Mineral Wells to Cartwright Park near Weatherford. 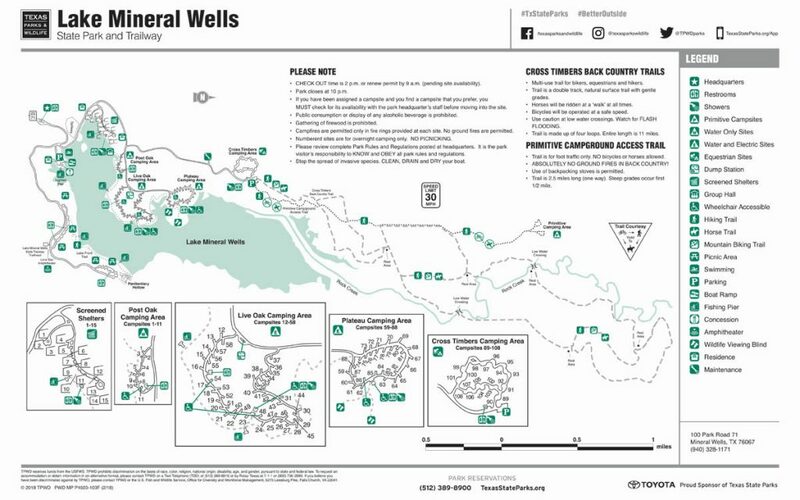 Lake Mineral Wells State Park sits along Rock Creek, a large tributary of the Brazos River. This area was an early home to several Native American tribes, including the Comanche. Hikers, bicyclists, and horseback riders of all ages and abilities can enjoy the Lake Mineral Wells State Trailway. The trail stretches from the northwest of Weatherford and travels 20 miles west to the downtown district of Mineral Wells. The Trailway is 20 miles long and 10 feet wide. It is connected to Lake Mineral Wells State Park, where you can camp and picnic.